Maxfield was one of the town’s earliest garages. They specialized in Ford, what else, and Studebaker. They also carried parts for bicycles. In addition to repairs, one could purchase gasoline, kerosene, various supplies, and (figuring prominently in the photographs) Coco-Cola. The garage was active in the teens and twenties, and possibly later. It was known as the brick garage and occupied the same space as the current Torrington Savings Bank in the center of New Hartford. The Hitchcock Chair Dog from the 2005 Dog Dazes of New Hartford; the artist was Lori Sokolik Pagano and the sponsor was the Hitchcock Chair Company. Dog Dazes was a fundraiser using the popular format of painted fiberglass animals, in this case dogs. The dogs were painted by local artists and auctioned off, with the proceeds going to several local non-profits. The bench, with the life-size gun-dog or pointer standing on it, is in black and gold stencils that recall the Hitchcock chair patterns once made in Barkhamsted and New Hartford. The bench is, naturally, a Hitchcock bench. This item, and a poster showing all the other dogs that were created for the event, are currently on loan from Chris Jones. Chris Jones has also loaned an 1859 topographic map of Litchfield County published by Clark’s of Philadelphia. The map is just about six feet tall and remarkably detailed for the era. A birdhouse made of scrap fret board wood and various hardwoods. This simple birdhouse was made Leon Whipple, a former carpenter at Ovation Guitars in New Hartford. When Ovation closed in the summer of 2014, he was allowed to take some scrap wood; with it he constructed a variety of bird houses. The birdhouse was donated by Terry and Lou Moscaritolo, owners of Wild Birds Unlimited, Avon. We have also had a number of photographs and newspaper clippings come in. As always, we are on the lookout for more information from any time period! This is a rare view, most photographs were taken looking up at the dam and the factory. 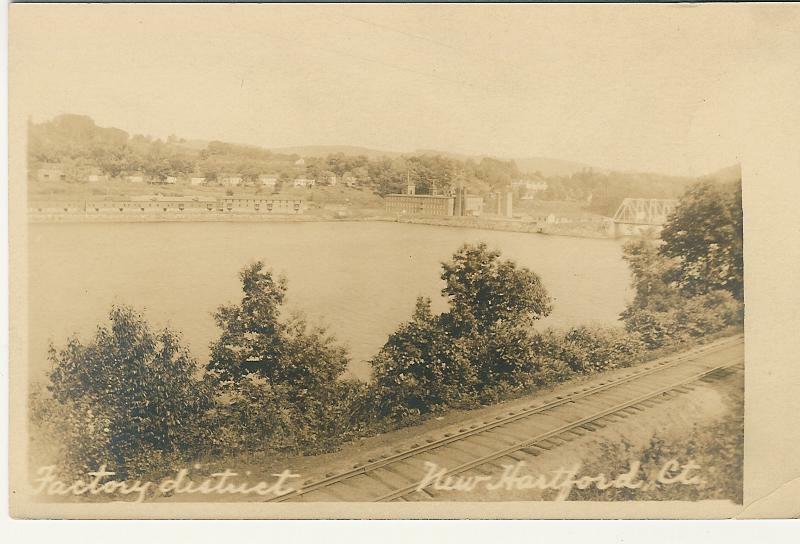 The main building, including the section still existing (Hurley Manufacturing) is located mid-center/left of the photograph. Holcomb Hill rises up to the left of the photograph. The main section of town is out of the picture, center-right. Lower Dublin, so called because of the many Irish immigrants who lived there is visible stretched on along the left bank of Greenwoods Pond. Only two of these row houses still exist. The family run Fournier Bakery operated for 71 years in New Hartford and Winsted, between 1890 and 1961 by two generations of the Fournier family. 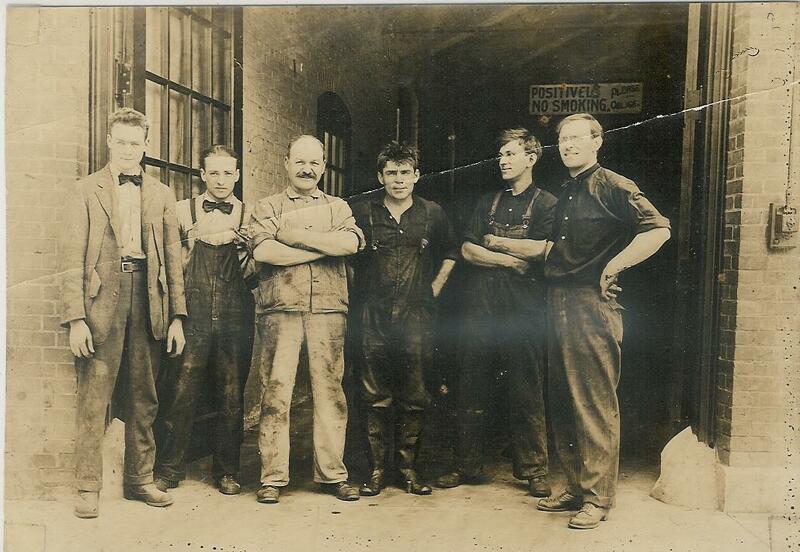 When the younger generation, Frederick and George Fournier retired they closed the business. 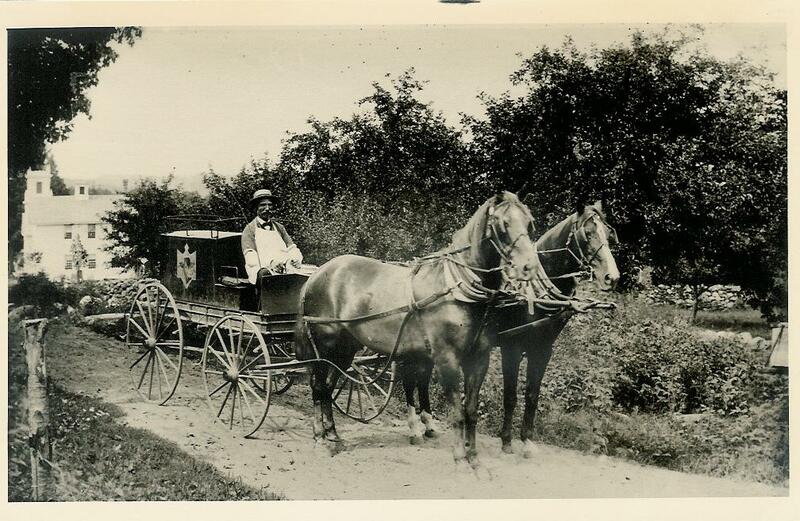 At one time the bakery delivered by horse drawn wagon, complete with a gong to tell customers that they were coming. In later years it operated out of several retail locations in both towns. It also ran a coffee service for various local factories. In a sense, this section of the business was replaced by vending machines and other automated machines. Today, there are several bakeries in town, including Collinsville Bakery and the Delery (now the Better Half). There are several other cafes as well. (or the oddments one doesn’t think about). A man by the name of Mr. Sadd was the first person to bring cooking/heating stoves into town, in the early 1800’s. He was a silversmith and ironmonger, working in the North Village with a small foundry on West (or Carter) brook. He bought stoves in Canton and sold them in New Hartford at first, but then he quickly turned to making them himself. Prior to his work, all cooking and heating was done at the fireplace. In 1829, he and his family moved west towards Ohio, presumably continuing to bring the new innovations of cooking stoves to settlements out there. Through the early 1800’s most rural towns operated on a barter system whereby people did a variety of odd jobs as needed, hired people as needed, and bought/sold whatever was to hand. Most farmers kept detailed account books to record who owed them ‘money’ and who they owed in turn. Very little actual cash changed hands. 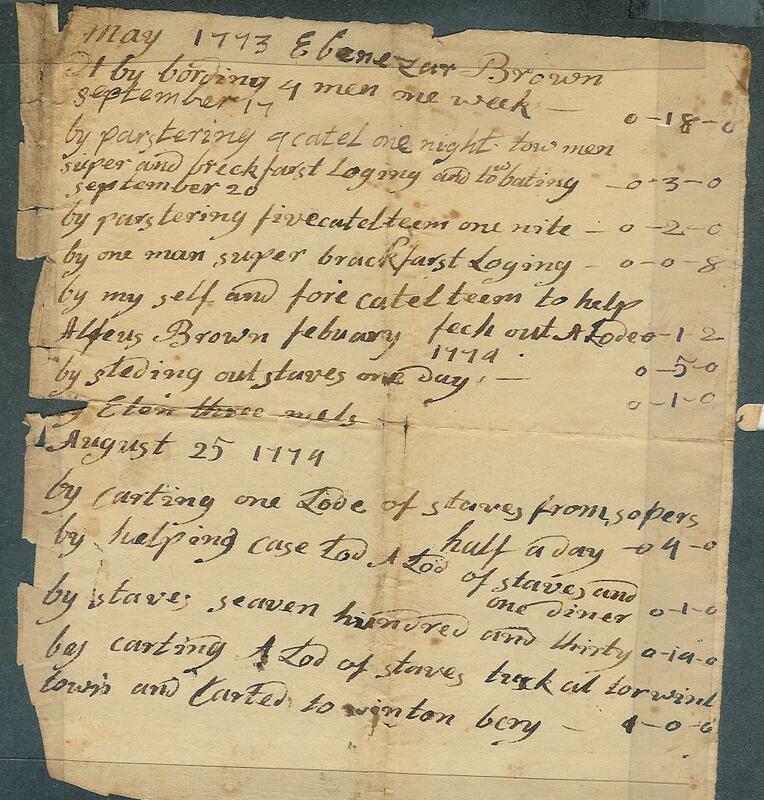 Here is an account from Ebenzer Brown of New Hartford in 1773. He clearly had extra pasture to hand and was renting it for cattle, which were probably passing through on the way to a market. He also seems to have had extra space in his house, putting up four men for a week. He had a team of oxen that he hired out, presumably with himself as a drover. Staves, perhaps for barrels, seems to have been a commodity as well at the time.